Looking for a place to prepare for and take your GED® test in Flagstaff at absolutely no cost to you? You just found it! 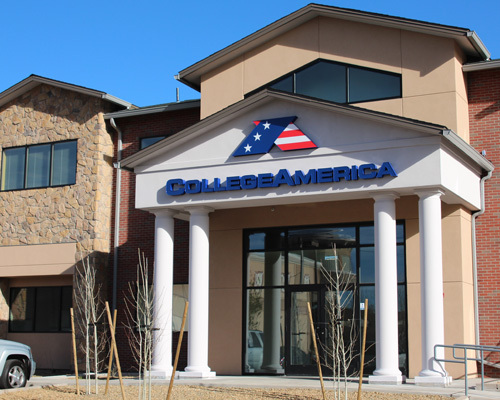 The Flagstaff campus of CollegeAmerica is conveniently located near Barnes & Noble, just off Milton Avenue. The campus is an approved testing center of Pearson VUE®, so you can prepare for and take your GED® test all in one place! Drop in today for a tour and to learn more about our course. Aaron Leonardi recently joined our Flagstaff team after completing his MA from the University of Hawai‘i at M&amacr;noa in Religious Studies. Although he was a teaching assistant in Hawai'i, most of his teaching experience was gained in the Sichuan province of China where he taught ESL for about two years. Before going off to China he was in the Pacific Northwest working on his BA in Philosophy at Humboldt State University. It was in that area, Humboldt County, which his love for forested landscapes really grew. Aaron has a long history of community involvement that he hopes to continue building on, from working soup kitchens when he was in high school, to his 10 month involvement with AmeriCorps NCCC and volunteering for food pantries and the Red Cross while in college. "Not having my high school diploma was holding me back from getting a good job. When I heard about this no-cost GED® test preparation on the radio, I had my doubts. But I was happy to find out I really didn’t have to pay a cent! CollegeAmerica let me use their computers, and they gave me extra tutoring. They set up the GED® test courses to be as easy as possible. Now I’m working my way up in a new career, and I’m thinking about starting a degree program in healthcare or another field"